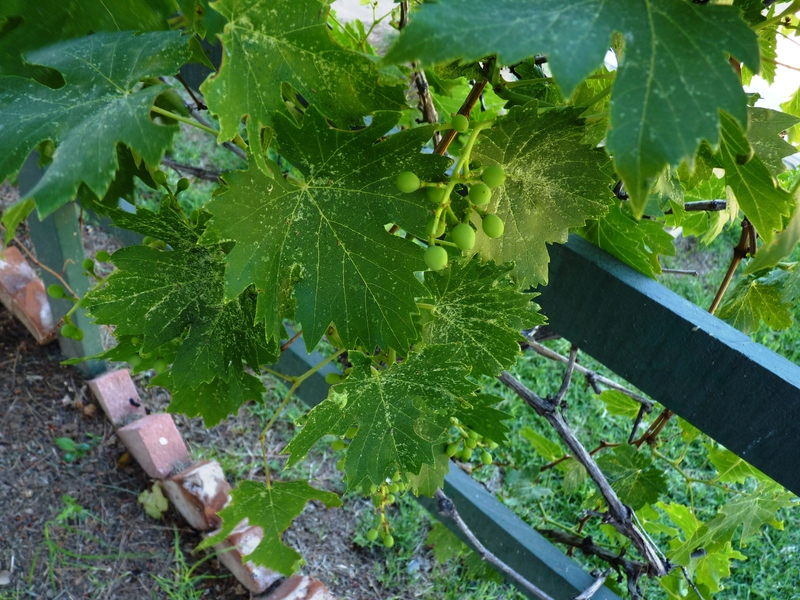 Even I had no idea grapes could grow in the Valley. 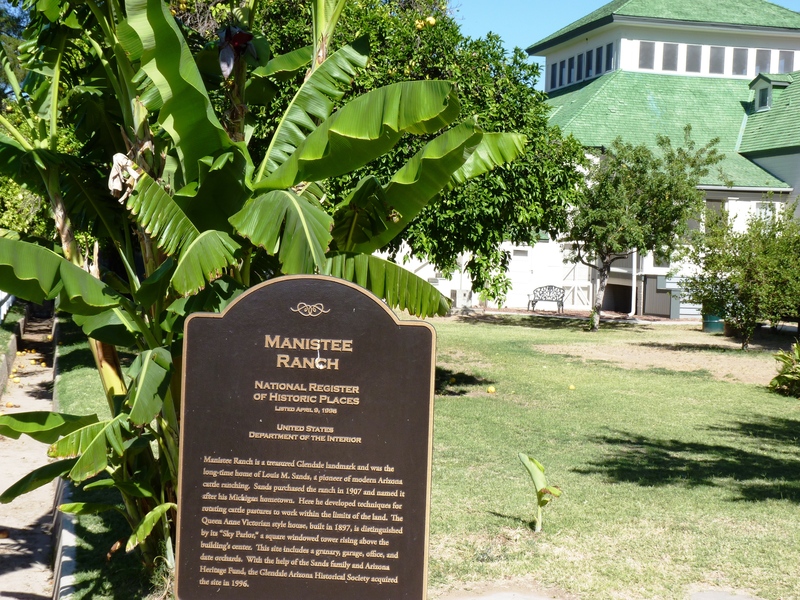 I knew to the north and south, but not smack dab in the heart of Glendale! 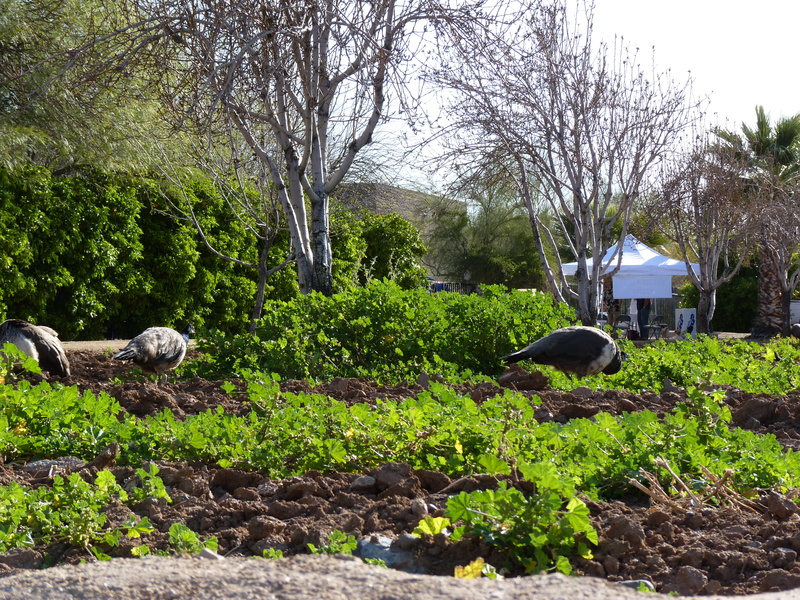 Peacocks hanging out in the in-between of the library and Sahuaro Ranch Park. 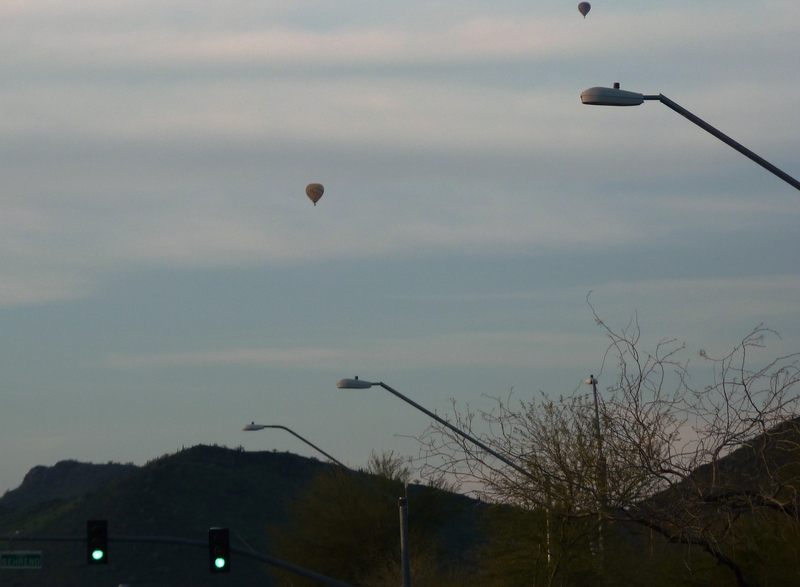 There were actually 5 balloons in the sky, but I could only clearly get a couple. This is probably the last week I will get to see them, since it gets too hot for them to be flying around any earlier than 5 a.m. come summer. 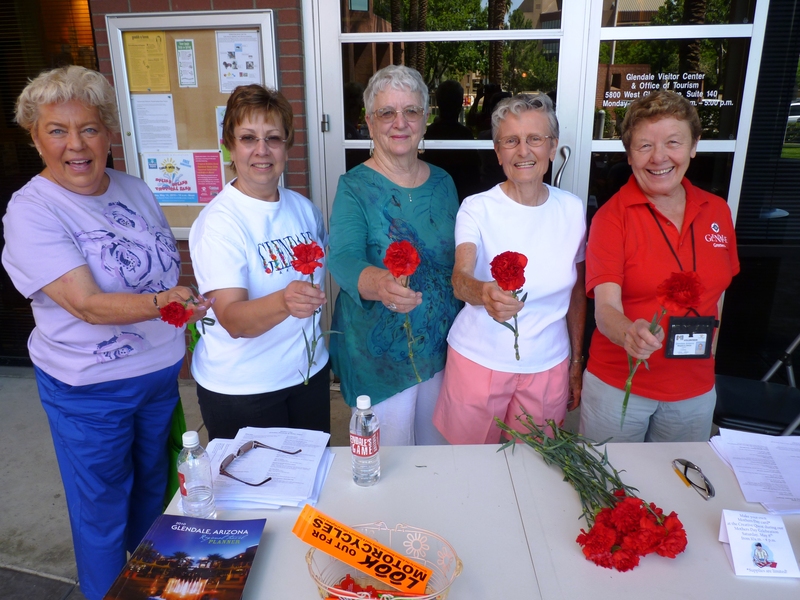 Volunteers handing out bouquet-starter flowers for the Mother’s Day Celebration. You know what Benny Franklin was fond of most? 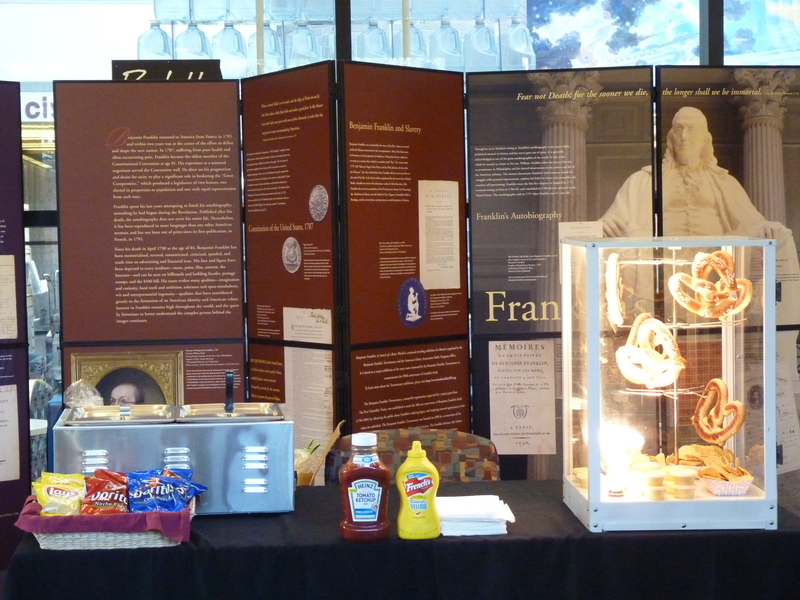 Carbs, hence the pretzel stand in front of his awesome biography on display at Glendale’s Main Library. 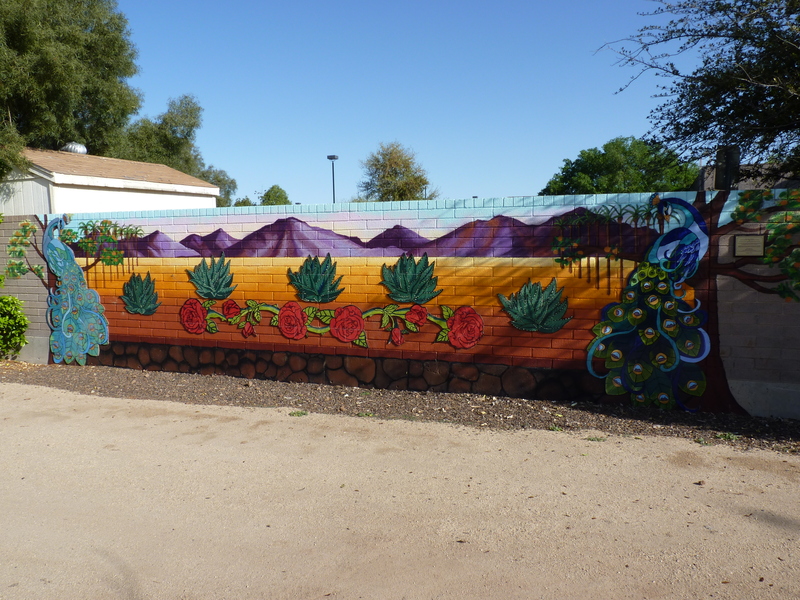 Gorgeous mural between the Glendale Main library and Sahuaro Ranch Park. I predict this mural making its way into more of my photographs.